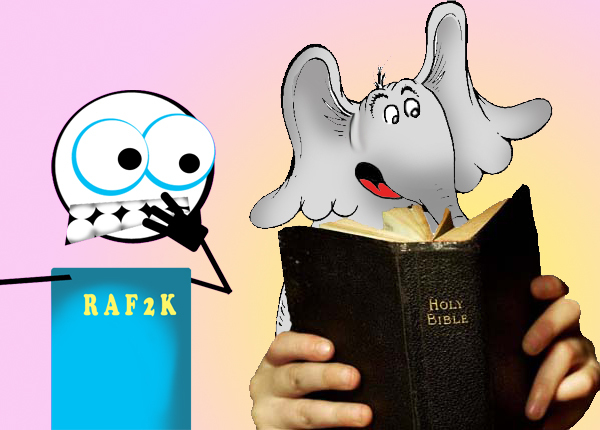 metaphysical map | Rent-A-Friend 2000's Biblical Thinking and Good Times! A friend of mine had expressed a disliking of a particular movie. The person she was talking to berated her for her opinion, as if her personal taste in movies could be compared to having interchangeable tooth/toilet brushes. Because she didn’t feel the same way he did, he chose to criticize her and call her ignorant, which of course did nothing to change her mind. It only made her angry. If we looked into it, I expect we would find much of the Middle East peace talks going along these lines. The online response of her friends was the typical reply to such a situation: “Everyone is entitled to their opinion, (So far, so good) because an opinion is neither true or false- it is subjective.” That last part is where they are wrong. Well, it is my opinion that they are wrong, and I am correct, which makes my opinion true and theirs false. Ok, before you go throwing full wine bottles at your computer screen, let me explain. You’ll notice that, in earlier posts, I put Opinion below Belief and Knowledge on the Metaphysical Map. You might have wondered why it wasn’t put with Perception or Experience. The reason is, an Opinion is a statement of absolute, transcendent, universal truth expressing a believed piece of knowledge which is either TRUE or FALSE. 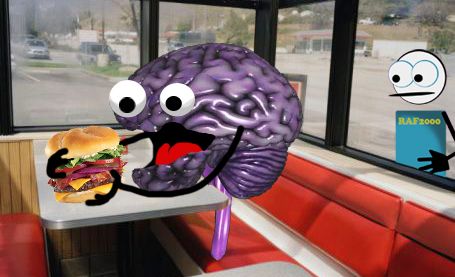 Did I just blow your mind? I know I did. I could hear it from here. Take my hand. It’s going to be OK! And there’s nothing wrong with a little therapy if you need it. Why is this not subjective? Because it is ALWAYS true for everyone everywhere that I Like Pizza. It doesn’t matter if YOU like Pizza. I will still like pizza no matter how YOU feel. It’s not always about YOU, you know. We share a Reality, and in the REAL universe, I like pizza. If someone ever tells you that I do NOT like pizza, they are a liar. Do not give them your credit card information, nor vote for them. In the second statement I am comparing two things. Sometimes people do this when they really mean to make a statement about themselves. When I said “Pizza is better than aerospace technology,” I REALLY meant, “Given the choice between them, I would choose Pizza because I am not lactose intolerant, but I am afraid of heights.” This, much like the First World War, is a result of poor grammar. Once again, the statement is either true or false, but it is intended to be a statement about my personal response to things. But what if it’s not? 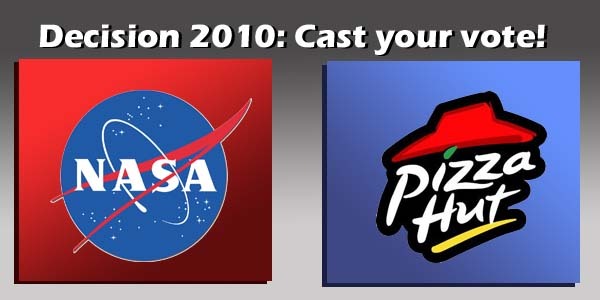 What if I really am comparing Pizza Hut to NASA? In this case, I am comparing these things, not to themselves alone, but to some external standard of good and bad. To say something is “Better” only makes sense if there is some standard of GOOD to compare two things against. The one that conforms most closely to the definition of “Good” is the one which is “Better.” So, we must ask in what ways these things are similar so that they might be compared. How about this: Both cost money. We could say pizza is better because I can get a large pepperoni pizza for five dollars, where as ANYTHING made by NASA costs more than the gross national product of South America. And I can promise you it won’t be delivered to your door in half an hour or less. But if by “Good” I mean, capable of sustaining life in a low orbit for prolonged periods of time, then the better of the two (and it’s a close call) would be NASA. Without the proper aerospace technology, you would be dead before the pizza was even out of the box. Even at five dollars, that’s a bad deal. 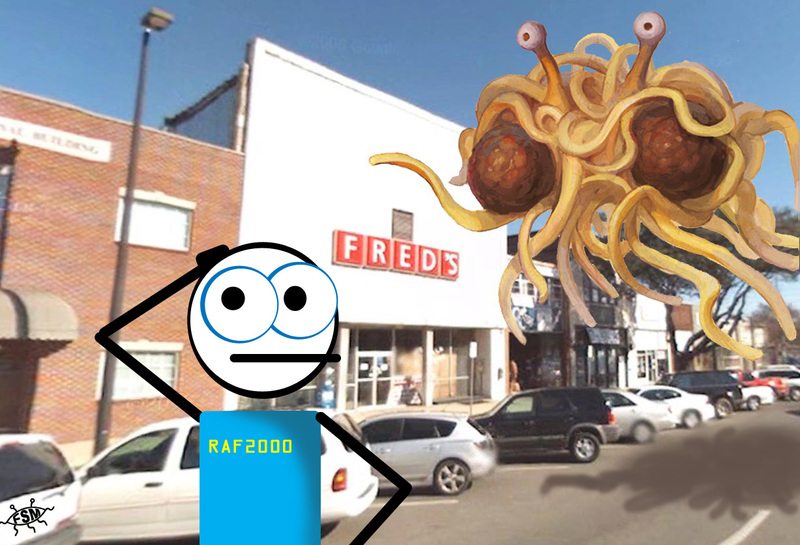 Maybe you don’t compare Italian foods to various technology fields. I can see no reason why you wouldn’t, but it takes all kinds to make a world. 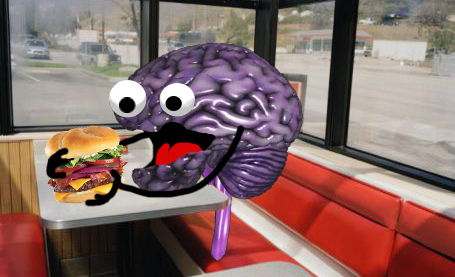 Since my standard of “good” above is based on my personal preferences (Either I prefer to spend $5 at a time or I prefer to survive the trip into space) and not on some external standard (like calories or cubic inches) then there is no reason I should expect you to judge according to this standard I set up for myself. You might argue that pizza is better than aerospace technology because without pizza you would shrivel and die like a plant in the desert, making the shuttle and the most advanced satellites irrelevant. This is valid. But what if I said “Pizza is CHEAPER than aerospace technology.”? Cheaper is a math concept. Pizza is cheaper, because it costs less money. A thousand jillion dollars is clearly more than $5, making pizza the “better” (meaning cheaper) alternative. This is not up for argument. If you think it is, you’re either Bill Gates or the sultan of Brunei. In either case, I would be willing to be adopted into your family/last will and testimony. What then can we say about someone who demands you consider a certain movie as “Good”? Maybe he is comparing the film to some standard of quality (“The movie was in focus and had audible dialogue” or, “This movie did not contain Keanu Reeves attempting to use a British accent”). Maybe he really means to make a statement about himself (“This movie made me cry like a little girl”) and he wishes for you to feel the same so that he will not feel like such a sissy. Or maybe he’s a jerk who doesn’t care what the conversation is about and he’s just trying to pick a fight. If he’s this third type, just walk away, man. Just walk away. Everyone is entitled their own subjective emotional response to external stimuli, but when you choose to express those feelings, choose your words carefully because if you don’t, you will sound like a jerk. Of course, that’s just my opinion. There it is, my friends. The Metaphysical Map of life, the universe, and everything. If you’d like to purchase a t-shirt with this on it, let me know. I don’t have any to sell you, but it would give me something to tell the folks back home. Truth is word, thought, or picture accurately reflecting reality (in as far as the word, thought or picture intends to reflect it). In order to teach you the ins and outs of this Metaphysical Universe, I present to you- THE METAPHYSICAL DUCK! Behold the ducky in all his glory! I took this photo of the duck with a digital camera. You can look at this picture and determine that the duck is yellow- but is that the TRUTH? If you stop and think about it, you can only REALLY determine that the duck in the photo is yellow. YOU don’t have the real duck. I do. The Photo tells you that the duck is yellow, but you don’t actually know if the photo accurately reflects the real duck unless you have the real duck to compare to the photo. To determine the TRUTHFULNESS of the photo, there needs to be a REAL duck with which to compare it. 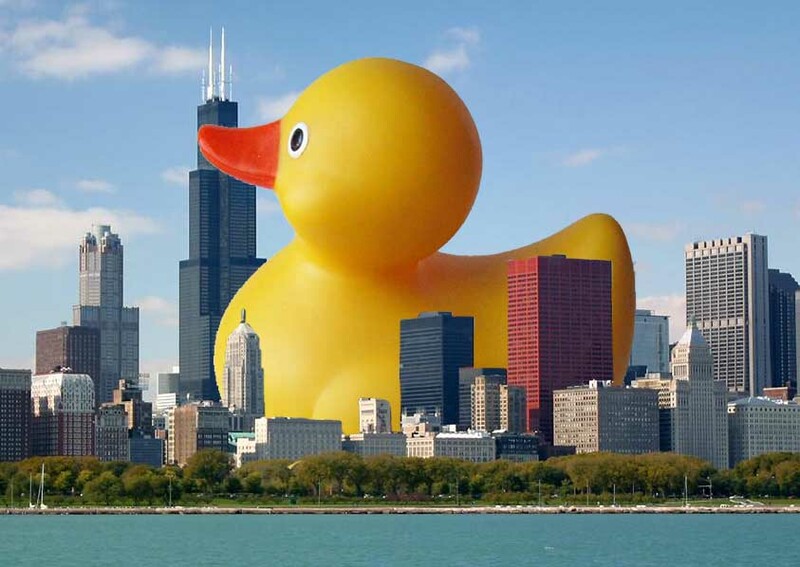 If this picture is only something I made in Photoshop, and there is no actual duck, then it is pointless to discuss whether the picture shows the TRUE color of the duck, just as it would be pointless to inquire as to the home address of about half of the registered voters in a Chicago election. Because they aren’t real. I wish I was kidding about that. Thus, if the ducky is the same color as the photo, then you can say the photo tells the TRUTH as far as the color of the duck is concerned. If not, then the picture presents an Illusion and you perceive something which is not TRUE. But there are limitations to the picture. For instance, can you tell how big the duck is? Is he one of those tiny keychain ducks or one of those huge duckies that can be used as furniture? There is no way to tell from this photo. For all you know it may be a GIGANTIC duck that doubles as a submarine and has a crew of a hundred men. It’s not, but I wish it was because THAT would be totally sweet. Does this mean the picture is inaccurate? False? An ILLUSION? No, because the picture is accurate as far as the picture intends to describe the duck. It is accurate in as far as it describes the duck, but no further. 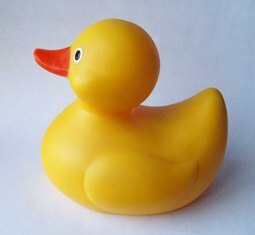 What it says about the color of the duck is true, but is simply doesn’t say anything about the size. It’s not inaccurate, false, or an ILLUSION. It’s only incomplete. Need another example? Go look in the mirror. What does the image tell you about the back of your head? Nothing. Does that mean it is lying to you? No, it means your skull is not transparent. If you CAN see the back of your head in the mirror, you might want to seek immediate medial attention. Or pick a keen Super Hero name. It depends on why you can see the back of your head I suppose. But I digress. I can give you a measurement of how tall the ducky is, but unless there is a real ducky, my description cannot be TRUTH. If I say the ducky is five inches tall, but there is no ducky, I have not told you something accurate about something that exists. I have invented the data arbitrarily. I have LIED. I could just as easily say it is a mile tall, and would be no more or less accurate. It would be equal (Metaphysically, not numerically) to my description of 5 inches because neither is true of a real duck. Clearly if something fails to be accurate, it must be false. Unreal/imaginary is the same as untrue, as TRUE requires a thought, word, or picture to accurately reflect a real something. I have the real duck here, so I can measure it, and when I do I discover that he is in fact four inches tall. So, while neither the imaginary measurements of five inches or a mile tall were TRUE (i.e. accurate when compared to the REAL ducky), the five inches was a LOT closer to the real thing. We would say it is MORE TRUE than the presumption that it is a mile high because, while still inaccurate, five inches is closer to the real truth (four inches) than the alternative (A mile)-or, we can say it is LESS INACCURATE, because the distance between it and the TRUTH is less than the distance between the TRUTH and the presumption of a mile high duck. Personally, I think Mile High Duck would make a good name for a band. You see it, but do you believe it? The important things to remember here are this: If there is no duck, I cannot describe it with accuracy. This is to say, I cannot tell the TRUTH about the duck. If there is a duck, I can describe it either accurately (And tell the truth) or inaccurately (and present an illusion, falsehood, or lie- we call this Journalism). And if there is a duck and I put its picture on a t-shirt, maybe I can get someone to buy THAT. It’s worth a try at any rate.